Shows on FXX, a newbie cable channel, don’t typically get very high ratings. Will Man Seeking Woman be the exception? Will this sitcom be cancelled or renewed for a second season? Stay tuned. 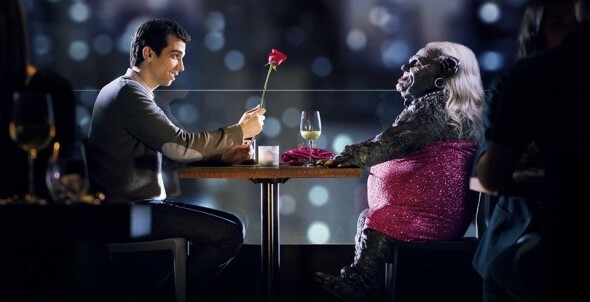 Man Seeking Woman takes a sweet yet surreal look at the current world of dating and follows twenty-something Josh Greenberg (Jay Baruchel) on his unrelenting quest for love. His friends and family are played by Eric Andre, Britt Lower, and Maya Erskine. 3/3 update: FXX has renewed this TV series for a second season. Final season averages: 0.1 rating in the 18-49 demographic with 190,000 total viewers. What do you think? Do you like the Man Seeking Woman TV series? Do you think that it should be cancelled or renewed for a second season? This show is well conceived, written, acted and directed … it’s hilarious. If given time, it will be the biggest success on this new channel and a hit by any measure. with 98k viewers this show is still on? Clearly there’s a mistake with episode 5’s ratings. There’s no way it drops 50% in the demo, but surges to almost a million viewers when it barely does 200,000. The correct number is 0.098. Please verify this. Thank you. The latest ratings (episode 5) are clearly wrong, I believe it should be 0.098 (ouch) per http://www.showbuzzdaily.com/articles/showbuzzdailys-top-25-wednesday-cable-originals-2-11-2015.html. Yes, thanks. It’s been fixed. Well you also have to keep in mind that this show is on an obscure channel that is relatively new. I mean what else is FXX going to play to replace this? Honestly, we shall see if the show builds momentum. Is this certain to be cancelled?